Hawley Retainers: these retainers consist of a plastic base that conforms to the shape of your mouth, with a wire that spans the front teeth. For superior esthetics, we offer a ClearBow, which is a transparent, custom-formed wire, across the front teeth instead of a metal wire. The plastic base can also be customized to be in different colours or designs, or can kept more subtle and natural. Essix Retainers: these retainers are virtually invisible, and wrap all of the tooth surfaces. 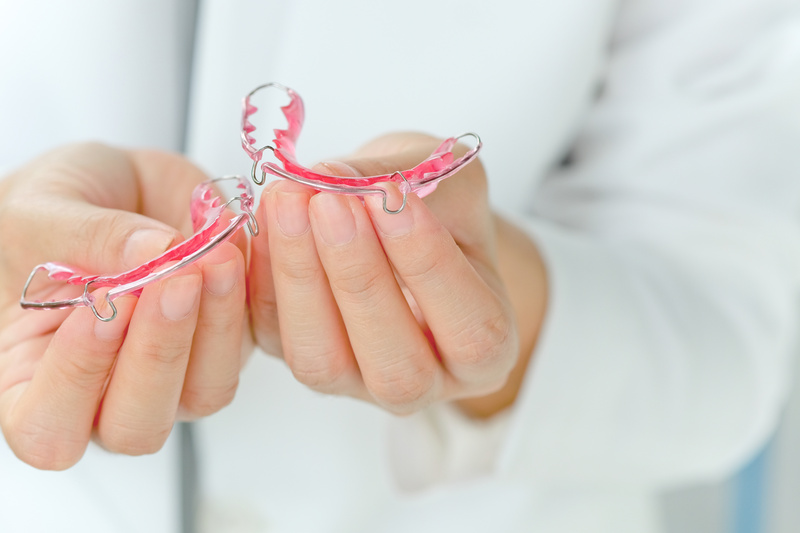 While they are esthetic and comfortable, they are more fragile than Hawley retainers. Bonded Retainers: Also called “permanent retainers” or “fixed wires”, bonded retainers consist of wire formed to the inside surface of the teeth to hold them in place. They must to be monitored periodically by a dentist or orthodontist, and should only be removed by an orthodontist.